Non-partisan actors received most coverage (45.3 percent), and pro-government and pro-opposition partisans were equally likely to receive attention (28.4 and 26.3 percent, respectively). Even in the instances that a small pro-opposition bias was found, pro-opposition voices received only slightly more visibility in terms of total on-air minutes – receiving 37.5 percent, while 33.6 percent went to pro-government partisans, and 28.9 percent went to nonpartisan actors. Pro-opposition perspectives were favored in the periods focused on the municipal elections and street demonstrations, and coverage was more neutral when focused on the international dimensions of the crisis and the shortages of basic goods. There was, however, a pro-government slant regarding story placement, as stories that were more favorable to the Administration of President Nicolás Maduro tended to “lead” as the first stories in a news broadcast. Privately owned news media in Venezuela face numerous challenges to providing visibility and fair depiction to sharply different perspectives on enormously controversial events. 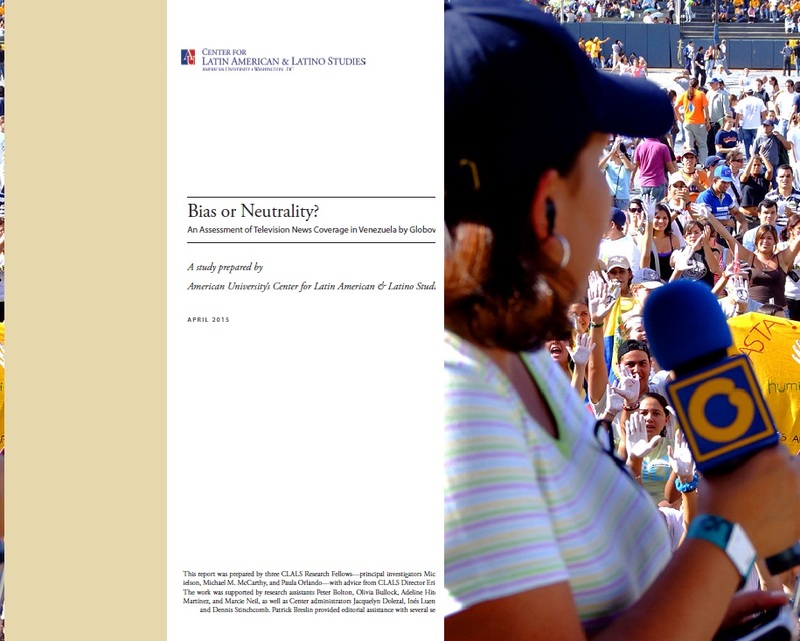 Although this report calls attention to the need to reassess the perception that Globovisión is strongly biased in favor of the government, notable holes in the channel’s news coverage suggest international concerns about press freedom issues in Venezuela remain justified. For example, the case of jailed opposition leader Leopoldo López received less attention from Globovisión than from international outlets such as CNN en español or NTN24. Additionally, footage of former presidential candidate and Governor of Miranda state Henrique Capriles was shown 11 times in the study’s sample, but Capriles was not an interview guest on any of the Globovisión programs. President Maduro, on the other hand, appeared 42 times (beyond government-controlled network broadcasts called cadenas). In spite of Venezuela’s chronic political crisis and extremely difficult political circumstances and the related pressures on news media, Globovision coverage, on balance, was not significantly biased either in favor or against the government. *Mike Danielson (Visiting Assistant Professor of International Affairs at George Washington University), Michael McCarthy, and Paula Orlando are CLALS fellows. Click here to see their full report and here to see their interview with Voice of America. What are you waiting for to disclose that the study was commisioned and paid for by Globovisión? Globovision’s representatives contacted the Center for Latin American and Latino Studies last summer and asked whether we would do this study for them. When we received assurances that the Center would have complete independence, and that it could be attributed to us only if it were presented in full and verbatim, we agreed to do the study. It was written for Globovision, and thus did not indicate that Globovision paid for it — as the client for whom it was prepared, they knew that.